We recently featured an illustrator that uses everyday scenes to complete his fashion sketches. Similarly, Gretchen Röehrs finishes her fashion illustrations with a variety of fruit, vegetables and other food items. 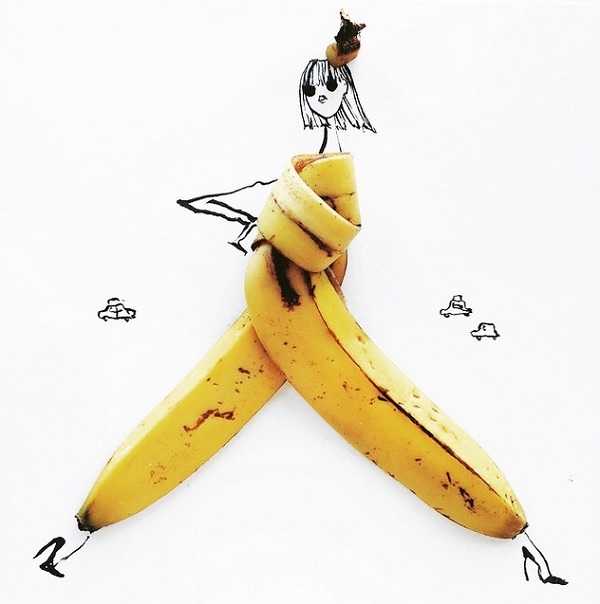 From bananas to slices of bread, Röehrs manages to brilliantly transform foods into fashionable clothes in her sketches. Scroll down to see her work, and follow her on Instagram.